What is a Pseudocereal or Non-Cereal Grain? Pseudocereals are plants that produce fruits or seeds which are used and consumed as grains, though botanically pseudocereals are neither grasses nor true cereal grains. Pseudocereals are typically high in protein and other nutrients, gluten-free, and are considered whole grains. Many so-called "ancient grains" are pseudocereals. Quinoa: Pronounced keen-wah, this high protein, the gluten-free seed is treated as a grain when it comes to cooking. It's the only "grain" that is a complete protein. It's high in iron, potassium, magnesium and fiber. Amaranth: Pronounced am-uh-ranth, this grain is from Mexico and is similar in yield to rice or maize. It too is gluten-free and like quinoa, high in protein, iron, and fiber. Buckwheat: This gluten-free seed comes from a plant that is a cousin of greens such as rhubarb or sorrel. It is available as a flour or in its pure form. Buckwheat is high in magnesium, copper, and manganese, with a high fiber content that is said to lower blood sugar levels after meals. Chia seeds: Coming from a plant in the mint family, chia seeds are high in fiber, calcium, phosphorus and omega-3 and omega-6 fatty acids. Wattleseed: Also called Acacia seeds from its Australian Acacia origin, wattleseeds are commonly described as an exotic spice. Most commonly added to dishes from a ground form. Kañiwa: Pronounced kan-yee-wah, is sometimes confused with quinoa, because of mispronunciation, but this much smaller cousin of quinoa has an identity all its own. Its origin, use, and preparation are identical to quinoa, however, it doesn't have the saponin coating, making it a little easier to prepare. You will easily find red or white(ivory) quinoa at your grocery store, although black is also fairly easy to find. Quinoa is very easy to prepare. If you buy quinoa pre-washed, all you have to do is cook it at two parts water to one part quinoa. For example, add one cup of dry quinoa to two cups of water in a saucepan, bring it to a boil, cover, then lower the heat so that it simmers for 10 to 15 minutes. It's similar to cooking rice. You can enjoy quinoa plain or add it to a salad, a soup, inside a pita wrap, with lentils or beans for dinner or enjoy it with breakfast with Greek yogurt, fresh fruit and a spice, such as an apple with cinnamon. Amaranth should be cooked 3 parts water to 1 part amaranth. To prepare, bring 3 cups of water to a boil in a pot with a tight-fitting lead. Add 1 cup of amaranth, cover the pot and lower the heat. Let it simmer until the water is absorbed, this should take about 20 minutes. Add grilled veggies, meat or tofu on a bed of amaranth for a hearty dinner. For breakfast, have amaranth with fruit, nuts, butter and brown sugar. It's an easy way to get gluten-free grains in your diet. Buckwheat comes in groats, either raw or toasted, or as flour, as mentioned above. All you need as a basic recipe for buckwheat is cardamom and liquid stevia(or your preferred sweetener). Like amaranth, buckwheat should be prepared at 3 parts what one part buckwheat. Add buckwheat water and bring to a boil. Lower heat and simmer for 45 minutes until a porridge-like consistency is reached. Add the cardamom and sweetener and whatever additional items you like, such as fresh fruit, nuts or veggies depending on what you like and enjoy. If you want to avoid the lengthy cook time, you can but pre-sprouted buckwheat. Chia seeds expand multiple times their size in water and help you feel fuller longer. They must be soaked in water beforehand to consume, after which time they take on a gel-like texture. Another way to incorporate them into your diet is by using ground chia seeds. Chia is generally seen in drinks, such as pre-workout shakes, bottled beverages and the like. Chia pudding, chia muffins and sprinkled on yogurt are some other ways to eat chia seeds. Wattleseed is generally used to enhance flavor and has been called an exotic spice. It has been added to ice cream, granola, chocolate, bread, nut butter and even beer. Traditional sweet sauces and dairy desserts also use wattleseeds to intensify the taste of sweet treats. 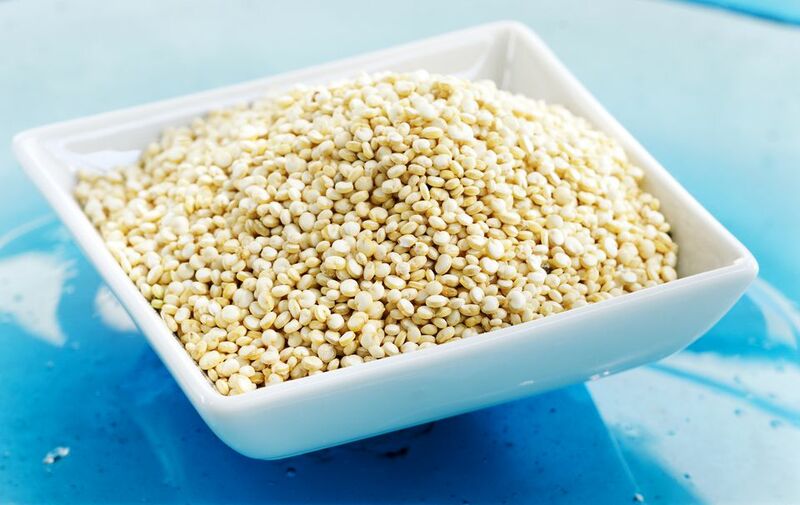 As mentioned above, the preparation instructions for kaniwa are identical to that of quinoa. Kaniwa is crunchier and does not turn out fluffy like quinoa does. Add almond milk, nuts and berries for a breakfast that is nuttier in flavor than most. Like quinoa, it can also be added to salads, tossed with beans, tomatoes, and corn, or added to other grain dishes for texture. Just How Healthy Is Quinoa, Really?